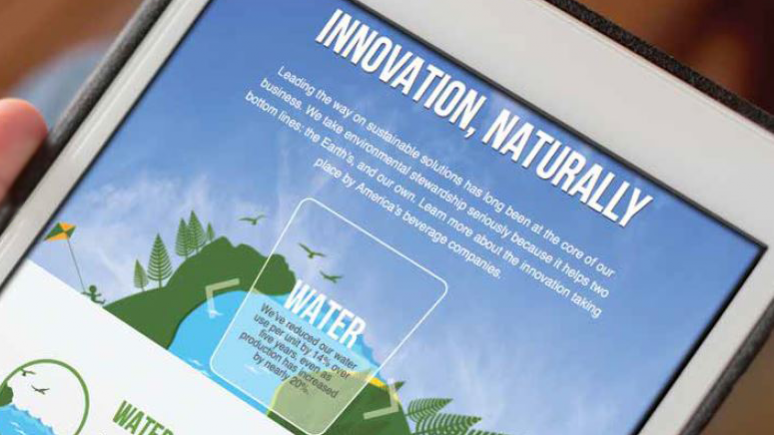 America's beverage companies are leaders in environmental sustainability. We know that doing our part to protect the environment is good for our business and the planet. WATER - Decreasing water use per unit of product—and will increase water conservation by double-digit percentages over the next decade. ENERGY - Increasing efficiency while decreasing its carbon footprint. FLEETS - Improving fuel efficiency and increase miles per gallon by nearly 20% over five years. PACKAGING - Reducing the raw materials used in PET plastic and aluminum through light weighting, redesign, and use of post-consumer recycled materials. RECYCLING - Working to eliminate waste to landfills from our manufacturing and production facilities in the US. Visit InnovationNaturally.org to learn more about our commitments. America's Beverage companies have a longstanding commitment working to reduce sugar and calories from beverages in the American diet.